This book also has some notable features. It is not about preaching in the sense that it is a homiletic textbook, but it is a great example of biblical preaching. The author quotes and refers to Old Testament passages and expounds them throughout the letter. It is noteworthy that the author quotes from the Old Testament and gives the quotes as God, Jesus, or the Spirit speaking. There is a scarce reference to David in reference to a Psalm but mostly the book quotes the Old Testament as God speaking. A person could write an entire book on the authorship of Hebrews, especially if they sought to include all the different theories on the subject, and many have been written. Resort to commentaries only multiplies the suggestions of authors and does little to resolve the issue. The Apostle Paul is probably the most nominated candidate for the office, but his incumbency is by no means certain. The author mentions coming to see the Hebrews with Timothy at the end of the letter (Hebrews 13:23). That sounds like it could be Paul. However, the author of this letter self-identifies with the second generation believers who believed in Christ through the witness of the first generation believers (Hebrews 2:3). We know for certain that Paul did not identify with the second generation but rather the first generation unto whom the Lord appeared (Galatians 1:12). Considering this, the author was definitely not Paul. The back-and-forth on Paul can go on and on in this letter. But the back-and-forth is not reserved for Paul. We can go back-and-forth with different possible authors. It’s more profitable to pay attention to what we know rather than what we don’t know. We don’t know who wrote the letter but we do know it was inspired by the Holy Spirit. We do know the author was strong in the Old Testament scriptures. This could point to Apollos as the author (Acts 18:24-25, 28). We also know that all the Old Testament quotes come from the Septuagint, the Greek translation of the Hebrew Old Testament. That could also point to Apollos who was from Alexandria. We also know that Hebrews in written in the highest register of Koine of all the New Testament books, which could also point to the educated and eloquent Apollos. What we do know from this is that the author was very likely a Hellenist. Ultimately, we don’t know who wrote the book and we ought not to get distracted by endless debates about it and miss the message of this important book. The time of the letter is uncertain but there are a few pointers. It was after Timothy’s imprisonment, meaning it was at least the early sixties of the first century. It was written during a time of persecution for Christians according to chapter ten, pointing to the latter half of the sixties. There are present tense references to the priests and sacrifices, meaning that it was before 70 AD. All that together tells us it was most likely written in the middle to the latter half of the sixties of the first century. The exact recipients are not known. We clearly infer from the letter that it was written to a Jewish audience because their temptation was to return to the old covenant. Some suggest it was a general letter to Jews scattered throughout the Roman Empire. It seems more likely it was written to a church that was predominantly Jewish outside of Israel. There are references to the assembly and elders in chapters ten and thirteen. The members of the church would have been in a community of believing Jews and unbelieving Jews, which accounts for parts of the letter that seem directed to unbelieving Jews. 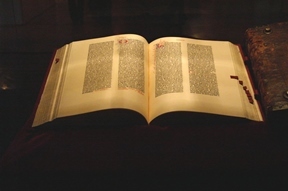 The book is structured as a series of sermons or a series of studies from the Old Testament on Christ. Have you ever wished you could listen to the message Jesus preached to the two on the road to Emmaus (Luke 24:27)? Or, would you like to hear Philip’s sermon in the desert south of Jerusalem (Acts 8:35)? Would you like to hear Paul’s preaching in the synagogue in Thessalonica (Acts 17:2-3)? Or would you like to hear Apollos preaching in Achaia (Acts 18:27-28)? When I read those passages I think of how much I would love to hear those messages. The letter to the Hebrews gives us that type of preaching—the preaching of Christ from the Old Testament. • Hebrews 2:5-9 expounds Psalm 8:4-6. • Hebrews 3:7-4:13 expounds Psalm 95:7-11. • Hebrews 4:14-7:28 expounds Psalm 110:4. • Hebrews 8:1-10:18 expounds Jeremiah 31:31-34. • Hebrews 10:1-10 expounds Psalm 40:6-8. • Hebrews 10:32-12:3 expounds Habakkuk 2:3-4. • Hebrews 12:4-13 expounds Proverbs 3:11-12. • Hebrews 12:18-29 expounds Exodus 19:10-23. There are also many other Old Testament passages referred to in this letter. In expounding the Old Testament, the author interprets these texts Christologically, or, theologically in light of Jesus Christ as the Messiah. That doesn’t mean the literal, historical, objective facts concerning people, places, and events are negated. Rather the author is moving from those to show the passages’ Christological significance. Perhaps an example would illustrate his method. In Hebrews 7:3, the author refers to the Genesis 14 account where Melchisedec is mentioned. He highlights the fact that no genealogy was given for him, nor any record of his birth or death. He applies this to the priesthood order of Jesus Christ as being everlasting, because it was without human descent, beginning, or end. It is a very different order from the Aaronic. This doesn’t mean the author is interpreting Genesis 14 to mean that Melchisedec was never born, never died, and had no biological parents. The author is picking up on the way Genesis treats him and recognizing the typology. So he is giving a Christological interpretation of this passage. The superiority of Christ is the main theme of this letter. The author systematically proves Christ better than the angels, Moses, Joshua, Aaron, the old covenant, the tabernacle, the sacrifices, etc. Jesus Christ is shown better than all the equipage of the old covenant. In showing Him better than the old priesthood, the author highlights the eternal priesthood of Jesus Christ and the once-for-all nature of His sacrifice. He keys on the fact that the temple priests offered over and over in an endless cycle of ineffectual sacrifices and offerings. However, Jesus Christ offered one perfect offering and sat down in completion. The author brings out several explicit truths about Jesus. The fact that He is the Son of God is stated unequivocally (Hebrews 1:1-5). The truth of His eternality is directly stated (Hebrews 7:3, 17, 23-25). The author emphasizes that Jesus is perfect and sinless (Hebrews 4:15). He highlights that Jesus offered only one offering (Hebrews 7:26-28) and that His work is forever effectual (Hebrews 10:12-14). The author calls this letter, “the word of exhortation” (Hebrews 13:22). Indeed it is a word of exhortation. It is the best kind of exhortation because it is based on sound, strong doctrine. There are five primary exhortation passages where the author draws from the truth that has been taught to admonish the readers. The first is found in Hebrews 2:1-4 where the author exhorts the readers not to ignore God’s better revelation in Christ. Second, he exhorts them not to miss His rest as those of Moses’ generation did (Hebrews 3:7-4:11). Third, he exhorts them to go on unto maturity (Hebrews 5:11-6:3). Fourth, he exhorts them not to fall away (Hebrews 6:9-20). Fifth, he exhorts them not to turn aside where there is no salvation (Hebrews 10:19-39). All of the exhortations share the theme of perseverance. These are serious and sobering warnings of what it means to reject Christ. Turning to the old covenant is to reject Christ. The Letter to the Hebrews is a part of “all scripture” and, therefore, “profitable for doctrine, for reproof, for correction, for instruction in righteousness” (2 Timothy 3:16). It is also a very theologically dense book with a number of difficulties to solve. The author writes with the assumption that his readers have a thorough knowledge of the Old Testament scriptures. That would seem to limit its relevance to modern-day Christians who have a threadbare acquaintance with the Old Testament and particularly the law books. However, if the author exhorted those who had a thorough knowledge of the Old Testament that they should go on to progress in their knowledge, how much more should modern-day Christians be exhorted to study who don’t even have that foundational understanding. This is a book all about Jesus Christ and growing in our knowledge of Christ is always relevant for His disciples (2 Pe 3:18). We also have other places in the New Testament that exhort believers to faithfulness, patience, and perseverance. Believers are believers whether they are Jews or Gentiles. Hebrews has such strong, plain warnings here that it is certainly relevant for modern-day believers to heed. If we pay careful attention to Hebrews, we learn what it really means to follow Christ and please God and that that is not to be found in the works of the law (Hebrews 9:14). That is relevant for believers and religious unbelievers. This is another unique aspect to this book because the letter was written with unbelieving Jews in mind though it is primarily to believers. Unbelieving Jews were very religious, yet they did not believe savingly in Jesus Christ. They needed to stop clinging to the works of the law and to cling to Christ. This is a relevant message today for children growing up in homes and churches with believing parents. Like it or not, believing parents raise religious children. That’s not necessarily bad but we have to recognize the difficulty that brings with it. A child is easily confused about what it means to believe on Jesus Christ and to be a Christian. Because of the weakness of the flesh, they naturally tend toward defining it in things that are done, e.g. going to church services, dressing a certain way, talking a certain way, behaving a certain way, reading the Bible, etc. The book of Hebrews sorts out those dead works and continually points to Christ alone and that He has done it all. It can be a helpful book for the religious to show the vanity of religion and the superior reality of Christ.